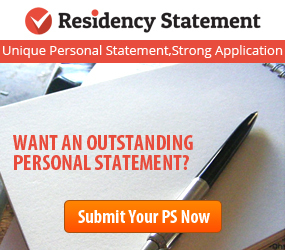 Are you looking for an easy and convenient way to keep track of your interviews this residency season? 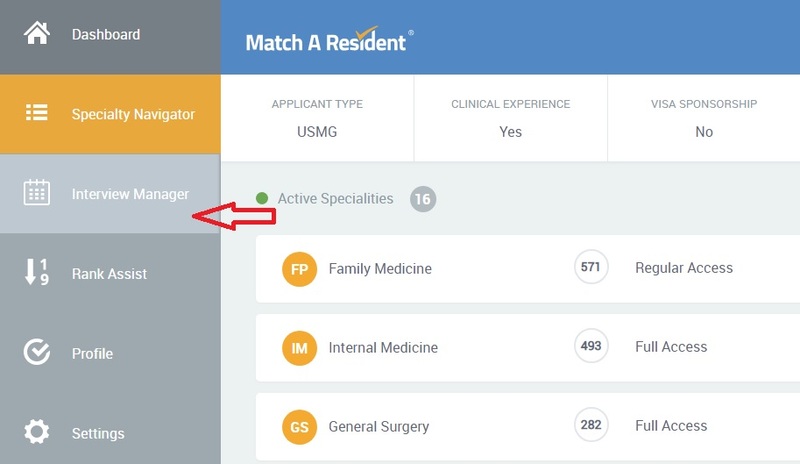 Utilize this informational resource to help you discover how to effectively use Match A Resident’s Interview Manager feature. Using this simple yet powerful tool will help facilitate a more integrated, cohesive, and effective strategy to help you Match. The purpose of the Interview Manager is to help you record interviews as they come in (by the dozens hopefully!) and make sure they are together in one place. 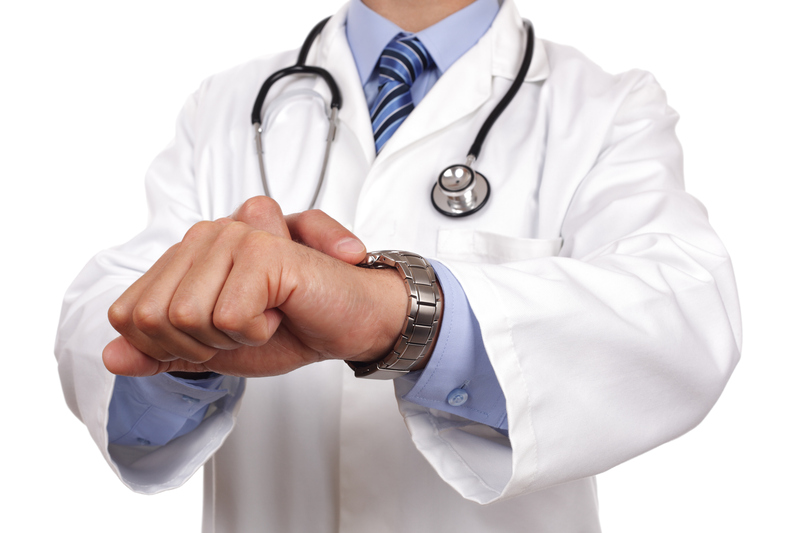 If you are new to Match A Resident and have not yet purchased a Customized Specialty List, don’t worry! You can still try out this nifty feature simply by registering. Let’s look at it in more detail, below! 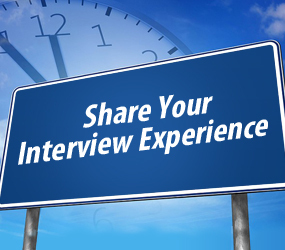 Once you click the Interview Manager, it will take you to your list of interviews, if you’ve recorded any. Here, they will appear in reverse chronology, with those interviews furthest in the future located closest to the top. 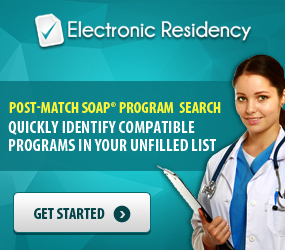 You can search by Specialty, State, and Program Name or Code. Then, select the date and time of your interview. Finally, be sure to add any special Notes you may have regarding the event. This could include ideas about what to wear, how to find the correct location, and more. Once you open a program, you can also add an interview from there. Simply click the Interview Manager icon from this view. 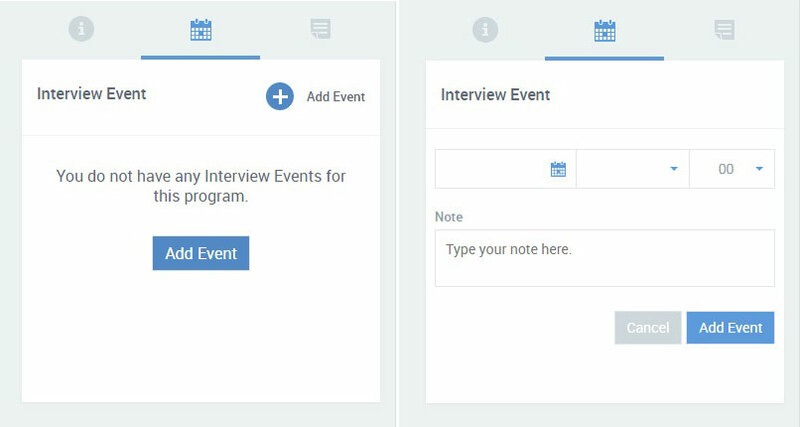 Next, click “Add Event” and input the interview information, including any notes! 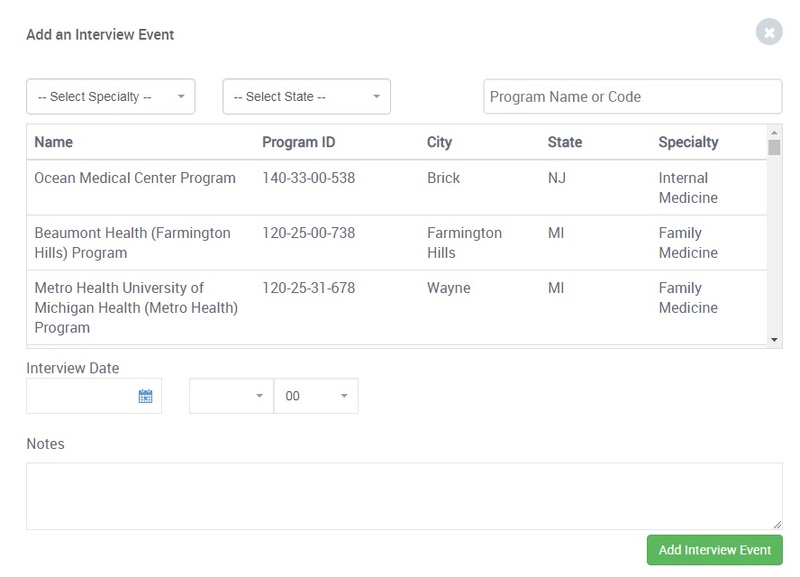 Be sure to press, “Add Event” again to finalize and save this interview. 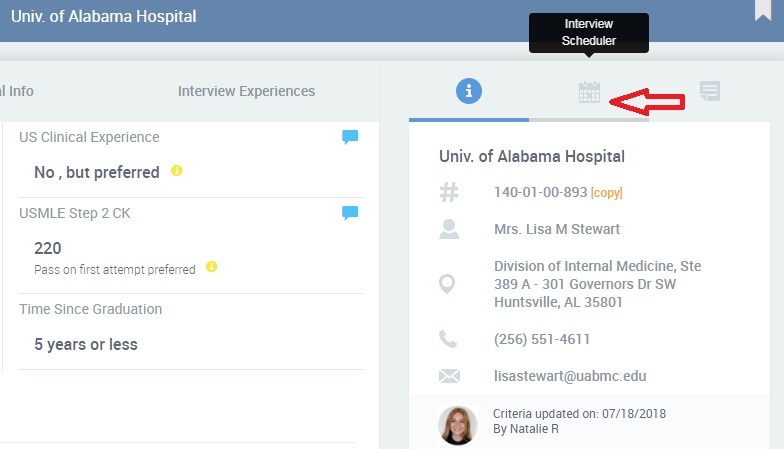 The interview will be added to your Interview Manager list and the green “Feedback” icon will then appear for that program within the specialty navigator as well. Congratulations! You are well on your way to an easy, organized, effective, and successful interview season. We certainly hope that this useful tool helps streamline your efforts and will help lead you to the position you’ve dreamed of. 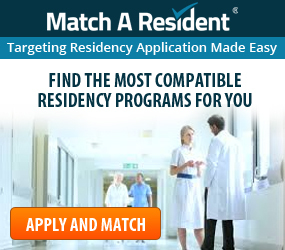 If you have questions about how to use this feature, please do not hesitate to email us at support@matcharesident.com or call 858-221-8510 for more information.